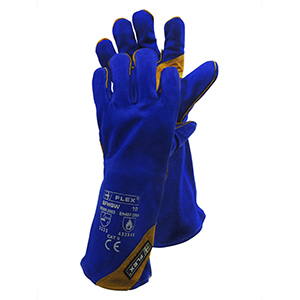 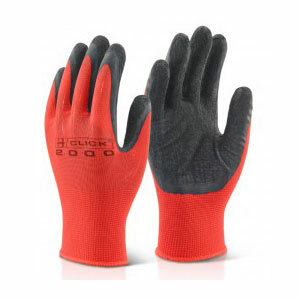 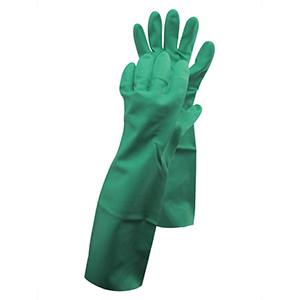 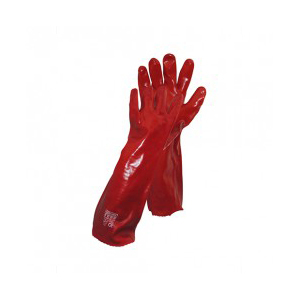 Heavyweight rubber glove, stands up to repeated rubbing and scuffing; manufactured from neoprene blended natural latex with cotton flock lining, offering sensitivity and comfort; will remain flexible and wearer friendly troughout the life of the product; resistant to some chemicals and acids, for chemical hazards, mechanical handeling, microorganisms. 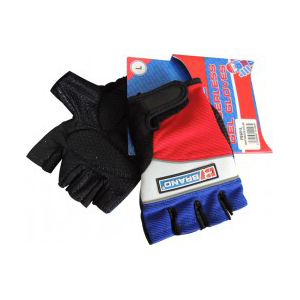 creatures such as lion fish etc). 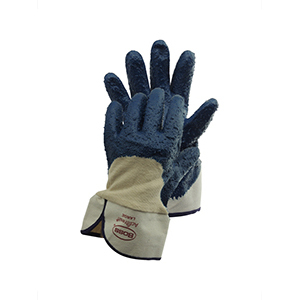 Slit cowhide leather glove with; Sherpa lining for use in COLD ROOMS. 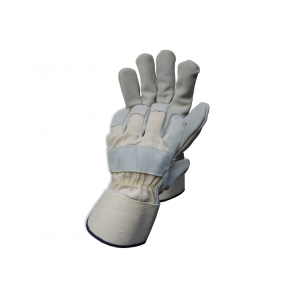 Gauntlet cuff. 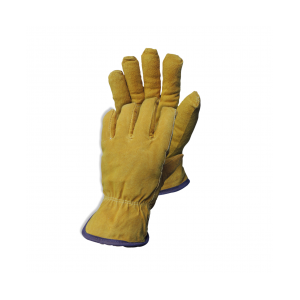 Glove, (Natural Latex), 19″, 19 guage, Rough Grip, great for houshold, industrial kitchen, food & agro processors, laundry applications etc. 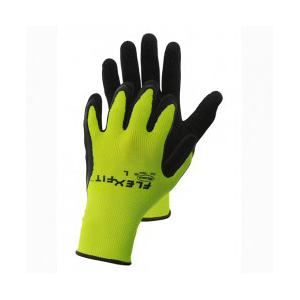 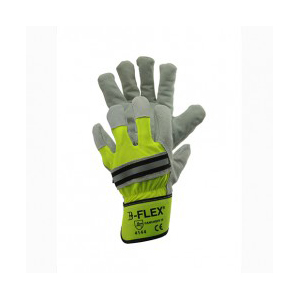 With Saturn Yellow polyester backing and safety cuff, Hi viz with reflective knuckle strip. 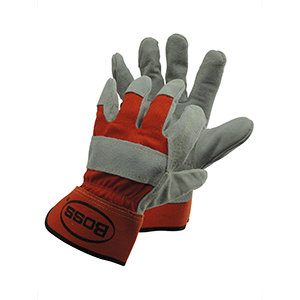 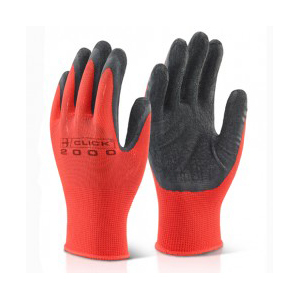 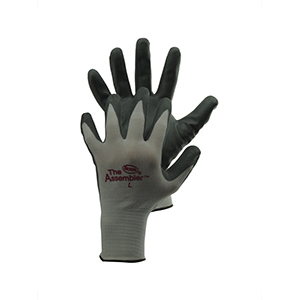 Leather Glove W/ Split Leather Palm; reinforced in high wear areas; with shired elastic back. 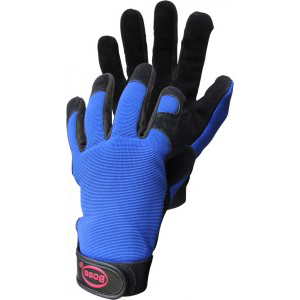 16″ Gauntlet, royal blue shoulder split leather Fully lined, Kevlar® stitched. 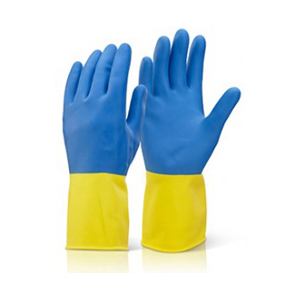 22 Gage, Unlined Nitrile, 19″ Long; Protection against solvent base chemicals; and animal fats. 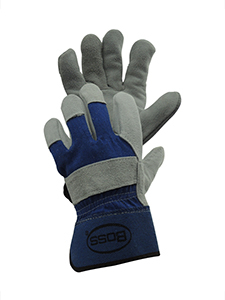 High Quality Fingerless Gloves, synthetic silicon coated palm for extra grip, Gel Inserts, Comfort Fit, Reflective Piping, Ideal for truck, Minibus Drivers or power tools users, and sport or gymnasium use. 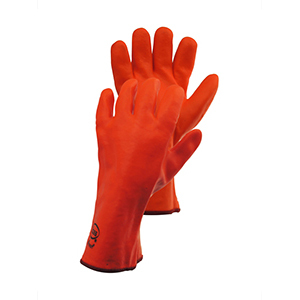 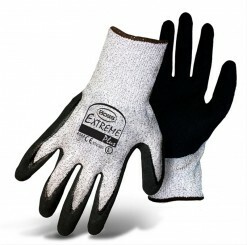 PVC gloves, Resistant to many acids, caustics bases and alcohols. 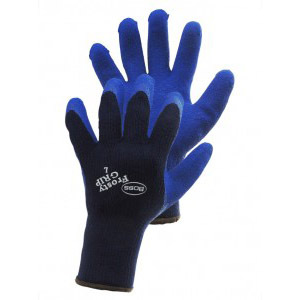 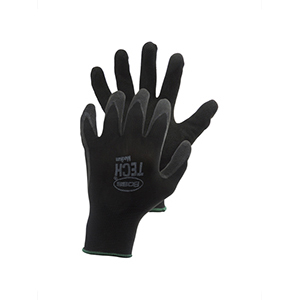 Black Nylon Knit, Foam Nitrile Coated Palm and Fingers, Excellent Puncture Protection, ideal for technicians & Mechanics etc. 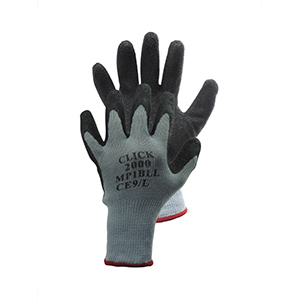 open back to help breathability and limit sweating. 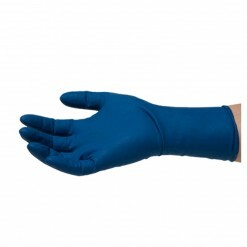 13 guage flourecent polyester shell; Single Dip Latex palm with crinkle texture; Knit wrist with colour-coded hem. 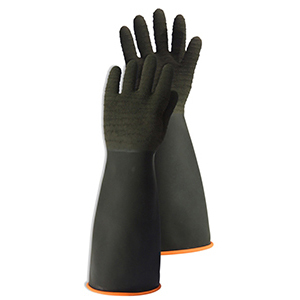 Leather Glove W/ Split Leather Palm with Rubberized Safety Cuff. 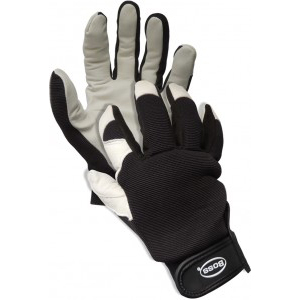 Goatskin Glove With Spandex elastic cuff with adjustable hook and loop wrist closure 70% Goatskin, 30% Spandex. 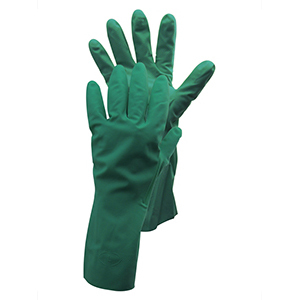 14 Gage, Unlined Nitril, 14″ long; Protection against solvent base chemicals and animal fats. 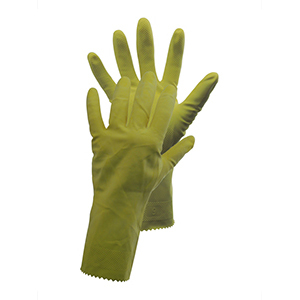 These Powdered, Industrial, Disposable Latex Glove are made from Select latex , these gloves are our best economy line of disposable latex gloves typically used in food service, food processing, janitorial, home maintenance and industrial applications. 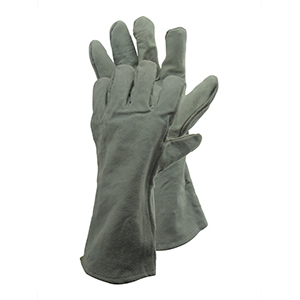 14″ Gauntlet, Grey split leather Fully lined. 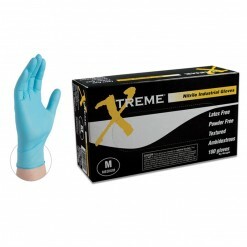 Xtreme powder free, Latex free Nitrile industrial grade disposable gloves, Nitrile has the added benefit of reacting to your body temperature and will conform to the shape of your hand for a perfect fit, and is also 3 times more puncture resistant than late.